Valentine's Day is coming up in a couple of more weeks, are your little ones ready to trade Valentine's with friends and classmates? There are so many options when it comes to giving Valentine's out on this special day. Most of the time, people are so busy they just pick up a box of Valentine's at their local store and have the kids fill out all the names on them for their friends. That's fun and something you can do with the kids but what about a DIY Valentine's Day this year with HP Canada! A few weeks ago I told you all about my new HP PhotoSmart 7520 all-in-one printer and the amazing things it can do for orgainizng the home office with the help of Snapfish. 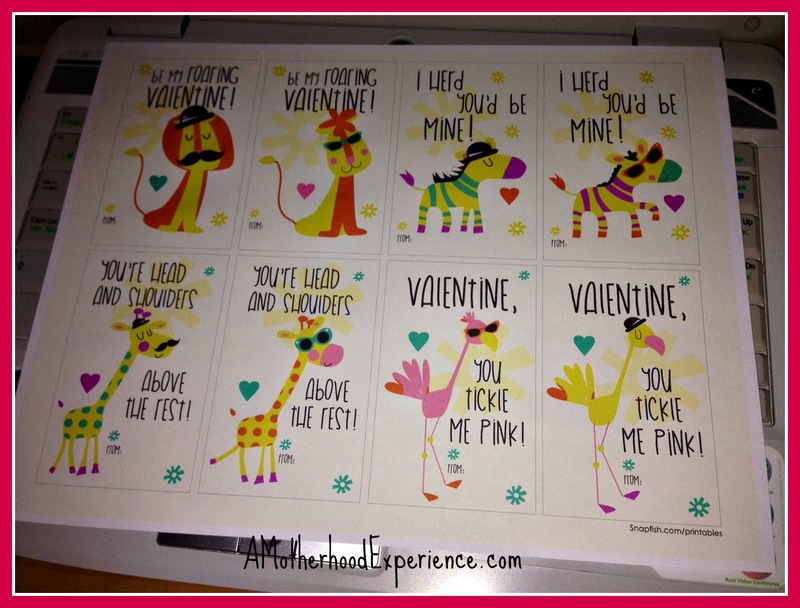 Having found some great printables for me, I also found some great Valentine's cards for the kids! Choose from different ideas like Valentine printables for both boys and girls, mini Valentine printables and cute Valentine's Day celebratory party sets! Printables are full, bold colour and are free to download and print! We printed out the Zoo Friends, Better Together and Colour Me Woodland Valentine's, they printed out beautifully on our HP Photosmart! Bold and bright, ready to personalize for Valentine's Day! If you are crafty and looking for some Valentine's Day inspiration, HP Create has some fun DIY project ideas the whole family can enjoy! 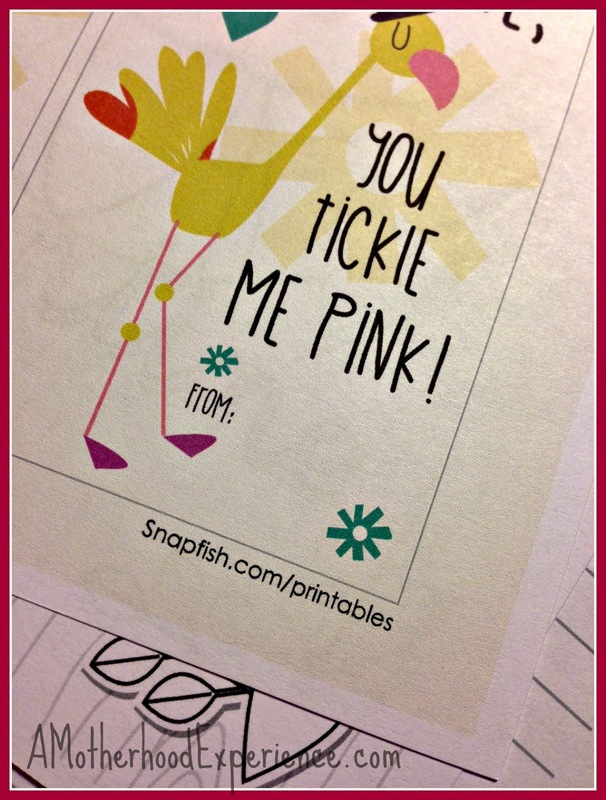 If your little ones are like mine and love making Valentine's Day crafts you can also save your kids Valentine's creations by scanning and saving them or printing them out to share with loved ones as an idea! Looking for creative Valentine's Day gifts for loved ones? Snapfish can help transform your favourite pictures into gorgeous photo gifts like personalized calendars, mugs, scrapbooks and much more! If you need something for someone in the office why not a memorable moment you caught on camera printed out on a nice coffee mug or desk calendar! There are tons of options to choose from with SnapFish by HP! Thank you HP Canada for inspiration for Valentine's Day 2014 with the HP PhotoSmart 7520 and Snapfish creations! For more information about HP Canada and mentioned products please visit www.HP.ca. Chat about all things creative and follow along Twitter @HP using hashtags #ValentinesDay #HPfamilytime & #HPCreate! Posted on behalf of HP Canada. Product supplied for review purposes. Comments and opinions on this blog are those of the author.